Okay, so this is a blog about baking, but Pimm’s No. 1 is as English as roast beef and Yorkshire pudding, scones with jam and cream or a classic Victoria sponge, so I thought it was certainly worth talking about. And with summer coming I couldn’t resist sharing some history and the recipe for this perfect summer drink. Pimm’s No1 Cup is so popular in England it is often thought of as the nations second favorite drink with the favorite being tea. It is the official drink of Wimbledon, the Chelsea flower show, a favorite at many village cricket events and something many people enjoy while soaking up the sun in their back garden (on the occasional days when its not raining that is). Pimm’s No. 1 Cup is an alcoholic drink. It has a dark-tea color, with a red tint and a subtle taste of spice and citrus fruit. It is often served with English style lemonade (think Sprite or 7 up) along with chopped fresh ingredients including apples, cucumber, oranges, lemons, strawberry and sprigs of mint. Pimm’s can also be mixed with Champagne, called a “Pimm’s Royal Cup”. 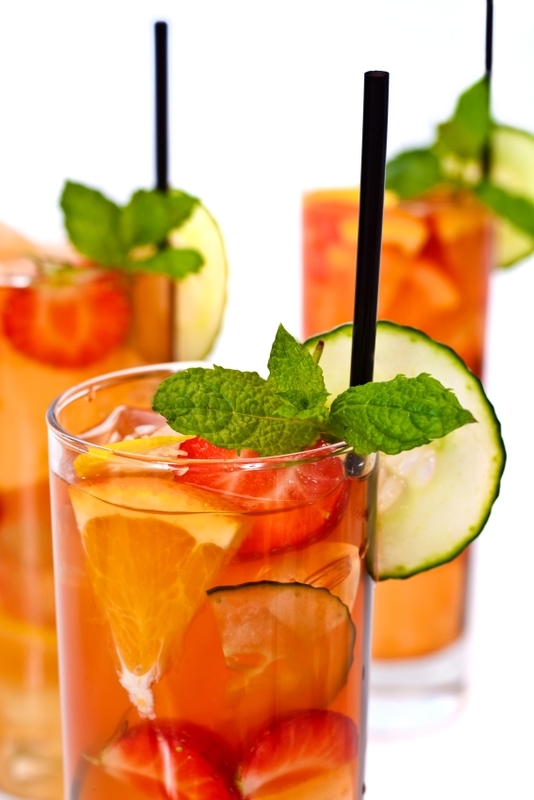 Pimm’s originated at an Oyster Bar in the City of London in 1840. James Pimm owned the bar, and he created the Pimm’s ‘house cup’, serving it in a small tankard known as a “no. 1 Cup”, hence the name. It was originally a gin based drink and contained a mixture of liqueurs and fruit extracts. James Pimm began to build a chain of bars and restaurants across the city of London, and they soon became a favorite place for businessmen to relax at the end of a long day. 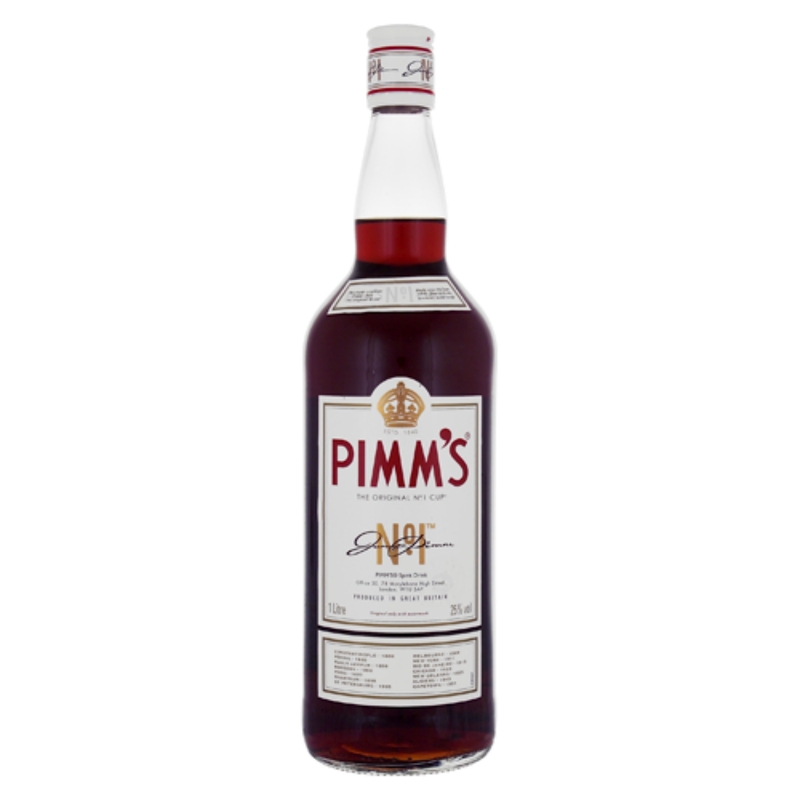 By 1851 Pimm’s began producing the drink on a large scale and sold it to other bars in the city. In 1865 the company was sold to Frederick Sawyer, and sold again in 1880 to the future Lord Mayor of London Horation Davies. Sales of the drink expanded rapidly and it became available throughout the British Empire, gaining a reputation for ‘all things British’. It first became available at Wimbledon in 1971, and every year over 80,000 pints (Pimm’s and lemonade) are sold to spectators at the event. 1. Take a jug (if you want to make several glasses) or a glass and add as much ice as you like. 3. Add a selection of mint leaves, thin cucumber slices, orange slices and strawberries (depending on what you prefer) and serve in a long tall glass. Then sit back, relax and enjoy the taste of summer!